I posted a picture on Facebook of the house Michele and I are renting in Beaumes de Venise and a friend that I worked with in the wine business saw the post. He said he spends a lot of time in the area and suggested we visit a winery that was only 10 minutes away. He liked the wines and was sure that I would enjoy them. 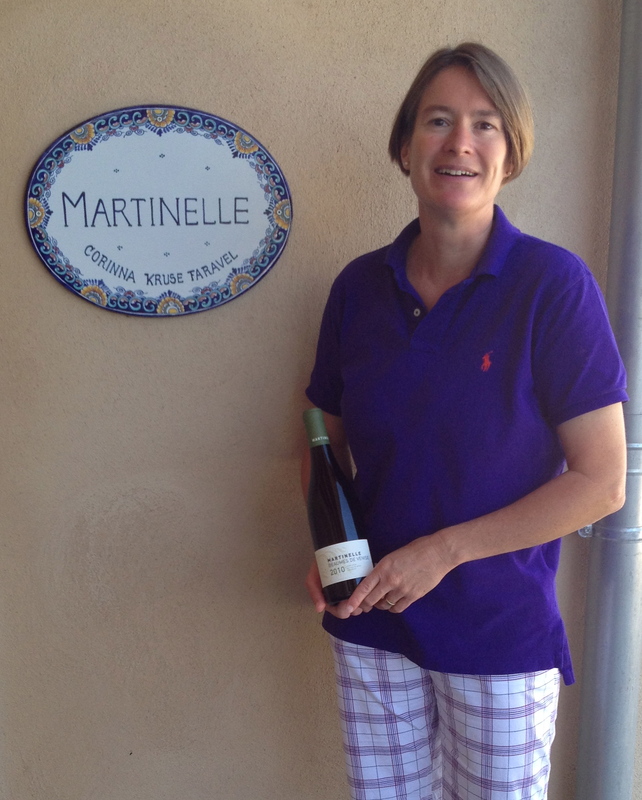 The name of the winery is Martinelle and the winemaker/owner is Corinna Faravel. She speaks English, he added. The winery is east of Gigondas and north of Beaumes de Venise. The winery is not easy to find and 10 minutes became 30 as we drove around and, though we were less then 2 minutes from the winery, we could not find it. When we finally arrived there, it was well worth the trip. Corinna, who told us she began her career in Germany where she worked for two different wine estates, greeted us. After 6 years of making white wine she felt something was lacking (red wine) and made her way to the Rhone where she worked at various wineries. In 2001 she discovered Martinelle, a group of small vineyards, separated by the solid rock of the Dentelles de Montmirail from Gigondas and Vacqueyras. This was exactly what she wanted. She said it was a one-woman winemaking operation. 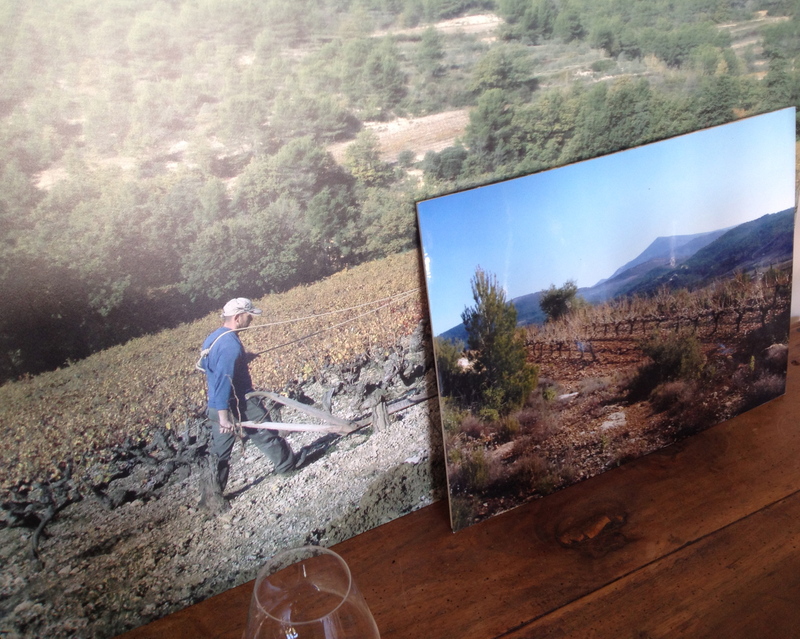 In the beginning there were only vineyards and it was an exciting challenge to build a winery from the ground up. She realized how closely winemaking is related to nature. For her first vintage in 2002 there was torrential rain and it turned the harvest into a horrendous affair. In 2003, a freak hailstorm destroyed her entire crop. But she knew the incredible potential of the area and in 2004 she was able to harvest healthy grapes. Everything since then has been very positive. The training system in the vineyard was both cordon and bush (goblet) but all the new plantings will be the traditional bush. Corinna now makes only two wines. She did make a Vin De Table “Le lleme” which was her chance to “color outside” the French AOC laws but does not make it any more. She is also experimenting with other Rhone varities. 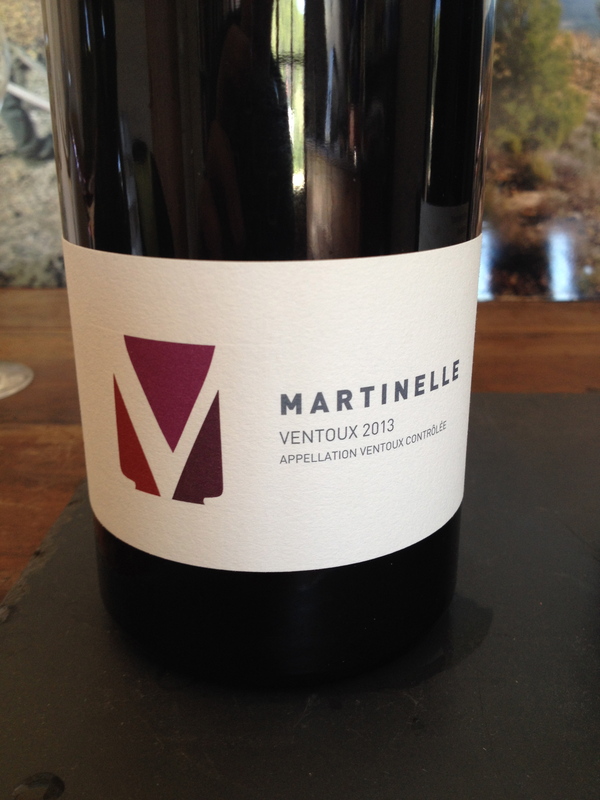 Ventoux 2012 “Martinelle” made from 72% Grenache, vines 16 to 49 years old, 18% Syrah vines 28 years old, 7% Mouvedre vines 5 years old and 3% old vine Carignan, young Counoise and Viognier. The vineyard is 8.5 hectares and faces east/southwest. It is Trias soil-decomposed limestone with iron rich ochre topsoil, other parts of the vineyard are richer in clay based soils. The vines are cared for organically. Harvest is by hand in September and the grapes are sorted in the field and in the cellar. The grapes are destemmed but not crushed and fed into unlined cement tanks by gravity. There is gentle extraction with lees stirring. Maceration lasts between 3 to 4 weeks. Malolatic fermentation takes place immediately after alcoholic fermentation. The final blend is assembled and bottled unfined and unfiltered. 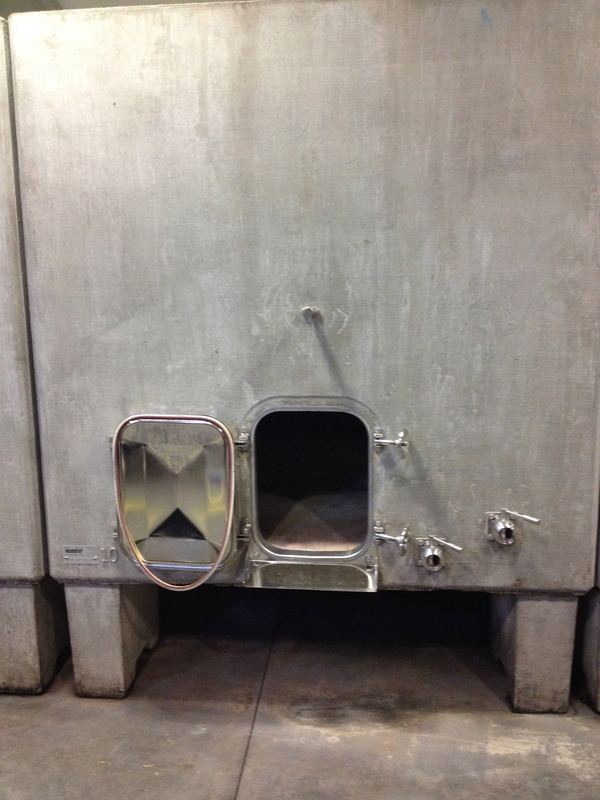 Corinna said that she uses unlined cement tanks because they are porous and they let the wine breath. The gapes in the blend vary little from year to year except in unusual vintages. In 2013 Grenache did not do well. She showed us pictures of the bunches of grapes and there were only a few sad looking grapes on then. She said that when she makes her wine she must be true not only to the terrroir but also to the vintage, so the blend was very different. Beaumes de Venise 2010 & 2012 Grenache 75% from 21 to 30 old vines (some as old as 57years) and Syrah 25% from 20-year-old vines from the 2.85 hectare Bramadou vineyard. Corrina said that the decomposed limestone and chalk soil of this lieu-dit-iron rich vibrantly colored soil colored in deep reds and oranges gives the wine good concentration and freshness. This soil is unique to the Rhone valley. It usually lies deep down and breaks through near the village of Suzette where the Bramadou vineyard is located. Corrina said she was very impressed by the color of the soil when she first saw it and knew it would be the perfect vineyard for her. Maceration for the Syrah is 36 days and for the Grenache 26 days. 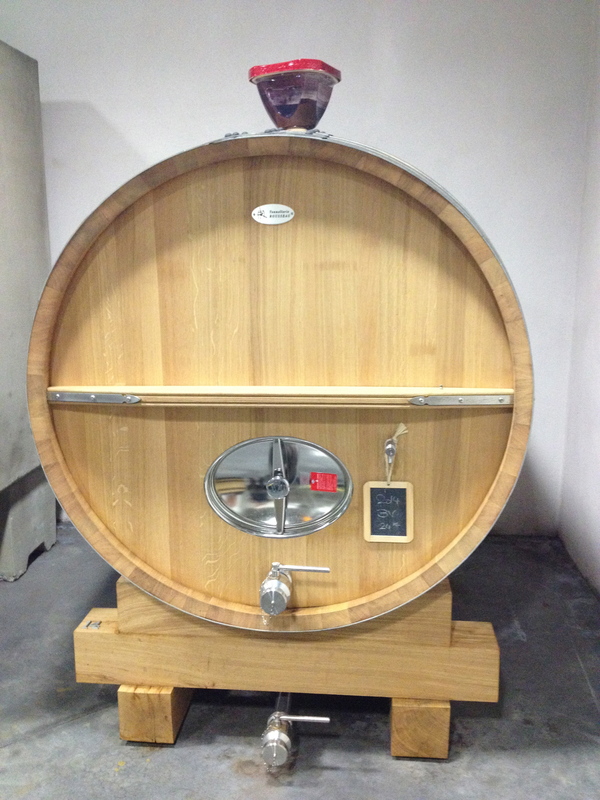 The juice was combined after pressing and malolactic fermentation took place in December. Corinna said that both wines are vinified in the same way. 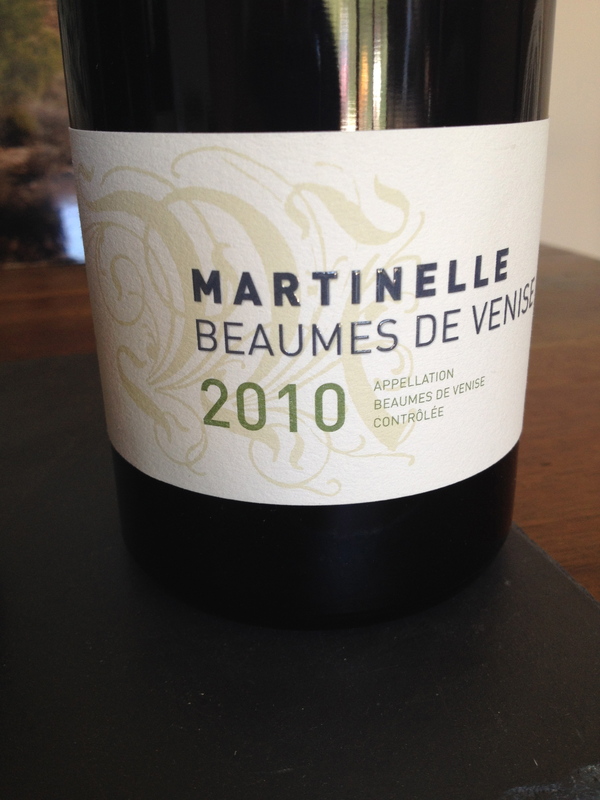 She feels that her Beaumes de Venise can age and most people drink the wine when it is too young. The 2010 was bright and fresh and showing no signs of age. It is one of the best I have ever tasted. Corrina said that her wines used to be imported into the US and is now looking for a new importer.